Generally when people think of non-medical home care, they are think about seniors and older adults that need help to stay in their home. They are too old, tired, or lack strength to accomplish day to day activities. The name means exactly what is sound, non-medical care, but not everyone is sure what that means. What exactly is non-medical care? Most person know that it certainly does not involve any medical care of any kind. Non-medical care is mostly used by seniors, but not all. 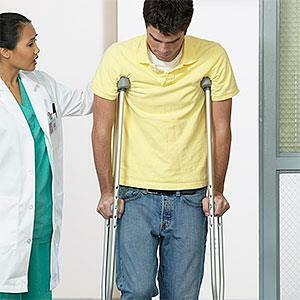 A caregiver can help people with many different reasons, the most common reason for younger adults is post-surgery. Back, knee, neck, or leg surgeries make it much more difficult to move around, get everyday tasks done (like ADLs and IADLs). When younger and middle aged adults are in accidents, have surgeries, are disabled, or have special needs, home care can assist with their day to day activities. Many post-surgery recoveries can be compromised by some doing too much too soon. Planning ahead will allow a person to recover, and prevent get re-injured and having to go back to the hospital. They will save money with non-medical home care compared to more hospital bills. Plus a home caregiver will be a friendly face ready to help out everyday for as long as needed. An added benefit to home care is being at home. Hospitals are great for surgery, but no one really enjoys being there for recovery and possibly sharing a room. Being at home allows someone to be comfortable, control their environment, and be able to do things when they want to do them at anytime of day or night. Sometimes people will have a loved one take care of them when they are recovering, which is a great idea if it is short term care. If recovery is going to take weeks or months, it may be wise to look into the cost of non-medical home care. The stress and time put on a loved one who has yet another commitment in their life, maybe worth the cost of home care, especially if it is a long term recovery. When looking at non-medical home care, it can be nerve racking to let a stranger into your home. Though this can be a concern, finding out the requirements to becoming a caregiver generally alleviate this concern. Many non-medical home care companies have requirements before a caregiver can be placed into a job.